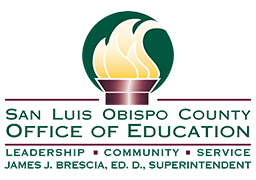 The San Luis Obispo County Office of Education has received the California Classified School Employee Teacher Credentialing Program grant. This program is a state-funded career pathway program for classified employees, leading to a teacher preparation program and teaching credential. Eligible program participants may receive stipends for $2,500 – $3,000 per year for the next 4 years to cover eligible expenses (tuition, fees, and books). Graduate from an institution of higher education with a bachelor’s degree. Obtain a multiple subject, single subject, or educational specialist teaching credential. Complete one school year of classroom instruction in the school district or county office of education for each year that financial assistance was received. The San Luis Obispo County Office of Education is working directly with Brandman University to ensure classified staff have access educational opportunities to obtain a bachelor’s degree and teaching credential. In addition, Brandman University will be offering scholarships towards your education! Time is of the essence. Attend an informational meeting to learn more about grant funding and other scholarships available to help you meet your educational goals.